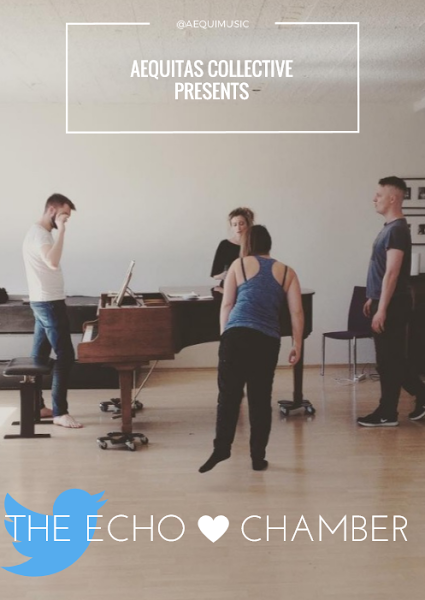 #theechochamber is a new Anglo-Icelandic opera about sexism on social media from the music theatre group Aequitas Collective in collaboration with Folk Opera Iceland. #theechochamber introduces four characters and their experiences of Twitter. The audience dives deep into the dark, absurd and funny world of social media and get to know the boxed in expression of thought in the form of 140 characters. A screen on stage will show a live Twitter feed where the audience can impact directly on the narrative through their own tweets. The show is original and unique, inspired by real life abuse on social media platforms as well as verbatim music theatre techniques. It will be performed both in English and Icelandic but translations will be shown on a screen in order for audiences from both countries to engage with the work in different ways. The process will be documented with vlogs from the performers and the creative team that will be shared on the social media of the group. Videos will also be made of the process to share. The show will be also streamed online. 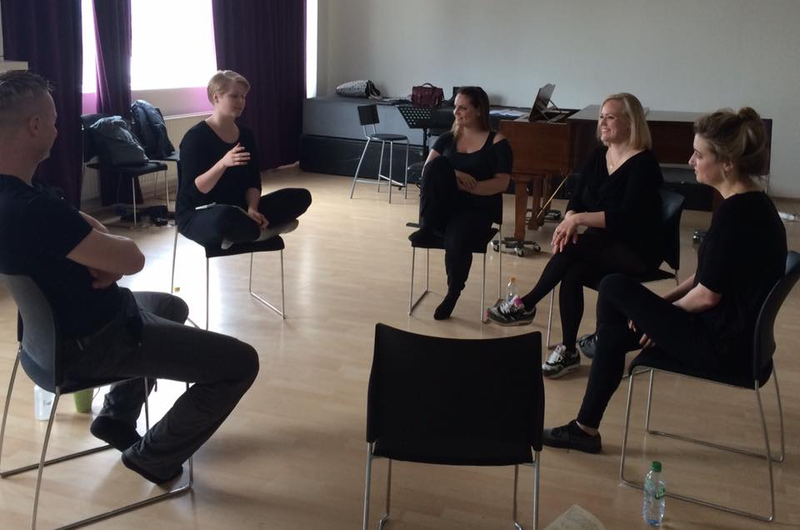 Aequitas Collective was formed in early 2016 by English and Icelandic artists, Michael Betteridge (composer/producer), Isabella Leifsdóttir (producer/singer) and Rosie Middleton (singer) with the aim of looking at the difference and similarities in the rights of women in Iceland and England though music theatre. #theechochamber takes inspiration from both English and Icelandic tweets to explore the way we express ourselves online and how it can affect our daily lives. Where do we live our life – online or offline? The show explores whether the black screen can ever reflect the real person and real feelings. What do we say, and what do we mean, when protected by the screen. The focus is on how women are verbally attacked online from the safe place of anonymity.